No reservations or experience required for day passes! 2 classes and a month of climbing with gear included. These are your first steps when you walk through our doors. Save time at check in by filling out a waiver before you arrive. We have a full fitness facility, locker rooms, showers + indoor bike parking. All included in your day pass. These shorter walls sit on gymnastics pads so you can climb them with no partner and no rope. 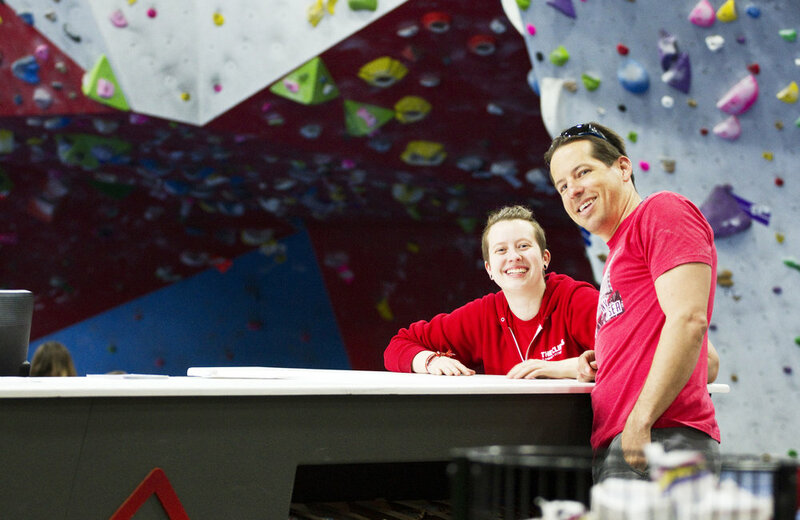 No experience required, but you can take our Bouldering Basics class for a more formal intro. These devices take up the rope (aka “slack”) as you climb, allowing you to scale routes without a partner. A special orientation is required to use the autobelays. Please see a Cliffs staff member to get one. 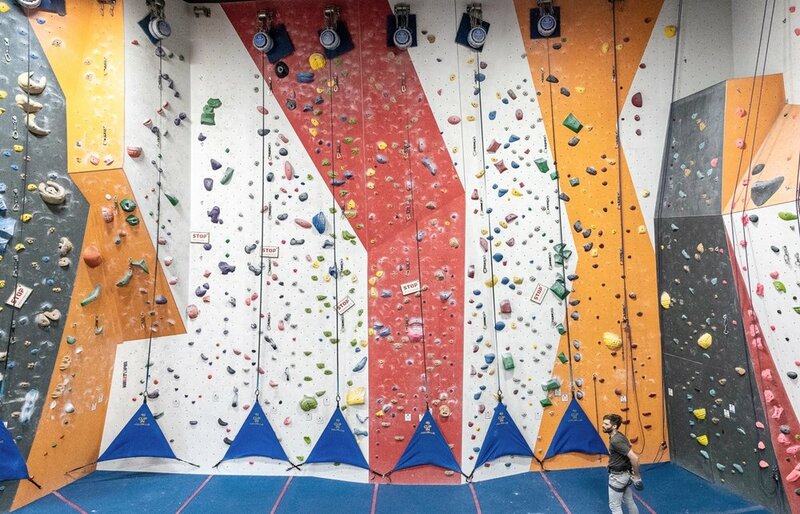 Our roped walls are open to climbers who know how to belay (control the rope for a climber). Take a class or take a test (no appointment needed) to get belay certified at The Cliffs. Our seasoned instructors teach classes for every level. Like pointe shoes for the rock wall, these tools of the trade are indispensable. Specially formulated rubber makes the soles super sticky for gripping small footholds on the wall. Rentals are available for $6 (or part of the rental package for $12) or get fitted for your perfect pair in our gear shop. Any athletic wear can also be climbing wear. Some people prefer pants to protect their knees from scrapes and scuffs, but shorts are ok too. See some cool Euro style pants in a climbing video? Check out our gear shop to snag a pair of your own. This nifty wearable goes around your waist and keeps you off the ground. Harnesses are required for autobelays and any type of roped climbing. Rent one for $5 (or part of the rental package for $12) or get your own in our gear shop. This stuff doesn’t just look cool. Sign up for promos, news + events.